Flatland BMX takes freestyle BMXing to a whole new level! And just like the name suggests, flatland BMXers use the flat, smooth surface they ride on to perform their unbelievable stunts. It’s been described as part hip-hop dance and part gymnastic-like circus act and leaves audiences with the best bike handling they’ve ever seen. 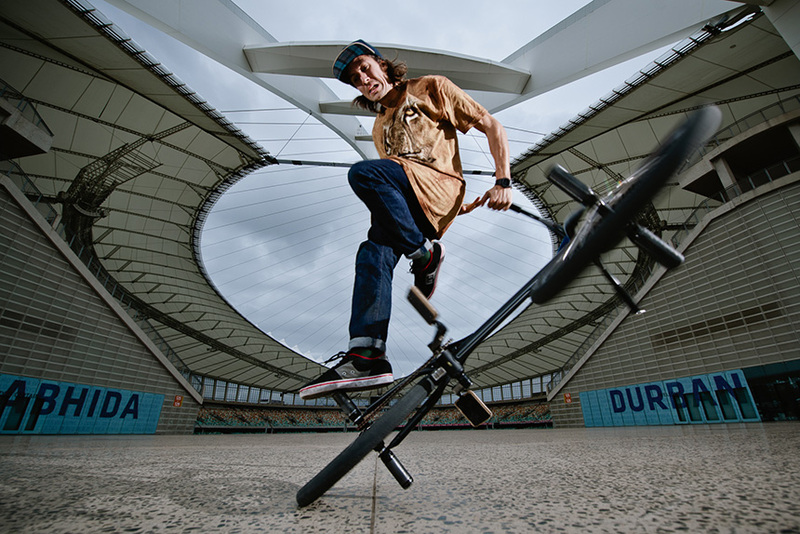 For skaters and bikers alike, there’s no surface more inviting than the expanses of concrete at Moses Mabhida Stadium. As part of their BMXplore tour, two of the world’s finest flatlanders, Viki Gomez and Matthias Dandois showed off their rampless and rail-less skills in KZN from the 28th – 30th November, and hit the stadium of the 29th. To see Viki and Matthias tearing it up across Durban, you’ll find the photos here and the video here.